Can democracy take root in the Arab world? As Syria burns, Iraq implodes and Tunisia and Libya struggle to democratize, one question remains central to framing discussions of participatory governance – Is democracy possible in the ‘Muslim world’? Is democracy an ‘internal wound,’ that has been left to fester for too long, within the Arab/Muslim world, as Moroccan scholar Fatima Mernissi argues? She says, pointing to Islamic history that, since the advent of Islam, there have been two traditions within Islam – the intellectual and philosophical tradition of the falasifa, of the Hellenized philosophers and the Sufis of Persian and Indian traditions and on the other hand, the Kharijite tradition of political subversion – which has been violent and bloody. This tradition continues, as we look around the Arab world and the struggles for power that are ongoing. As Mernissi says “The two traditions raised the same issues that are today told are imports from the West, issues that Islam has never resolved: that of ta’a (obedience to the Imam or leader of the community) and that of individual freedom. Political Islam resolved these issues neither in theory nor in practice, for the idea of representation was never effected, although the idea that the Imam is chosen by the community is deeply rooted in the Sunni Islam.” (1992, p.21). This choosing of the Imam by the majority is a democratic element that has been part of Islamic history, no matter how one reads it. The first caliph and those onwards, till Ali were chosen by consensus of the community, though it was not an ideal participatory voting mechanism, as we know it today. Some of these age-old tensions are still playing out, in many ways. This could be considered a part of the power-struggle within the house of Islam, at the risk of sounding orientalist. But there is a grain of truth to this. I explored some of these questions a few years ago, when I took part in a two semester course called Democracy in the Middle East at the Maxwell School of Syracuse University, as part of my MA in International Relations. This was in 2009, when life was stable in the Middle East and it would be a while till the word ‘Arab Spring’ would become part of everyday lexicon. Some of the bigger questions that we grappled with, as part of the seminar, taught by Dr. Miriam Elman were: Is Islam compatible with democracy, Are the countries of Middle East and North Africa inherently not able to adapt democratic means of governance and to what extent has history played a role in the way things are. Vicky Langhour (2002) points to the arguments made by some scholars that substantive democracy may need to be stalled in the authoritarian countries of the Middle class till there is a solid middle class that can demand legitimate democracy. This is operating on the assumption that the only alternative to the existing autocratic regimes is that of Islamists (Muslim Brotherhood, Al’nahda etc…) who are as bad, if not worse than the current authoritarian rulers for democracy – so goes the argument. She says: “The suggestion that substantive democratization be put off until middle classes develop is of limited usefulness. On the one hand, its assumption that middle classes do not support Islamists is belied by Islamist successes in the elections within middle-class professional syndicates; on the other, the growth of strong middle classes in several Arab countries has not made regimes any more willing to devolve power democratically. Western pressure is needed to push Arab autocracies toward a phased-in democratic opening designed to strengthen opposition parties.” The wide spectrum of Islamists from MB to Hamas to Hezbollah all demonstrate the various stripes in which these parties come. The question really is : Is the West willing to acknowledge Hamas as a legitimate party, once it is elected democratically. Now that Hamas does rule the Gaza strip, it is still not treated as an equal partner in dialogue by Israel. So, how does one deal with such hypocrisy from those who purport to promote ‘democracy’? This is a legitimate question and one that is being asked in the Muslim majority countries. Langhour suggests using economic incentives such as trade agreements and other incentives to push Arab governments to move in a certain direction – in terms of allowing greater participation among the political parties etc. But the West certainly cannot pull strings now, as it has in the past, given the recent wave of anti-Western sentiment and ongoing civil war in Syria and Iraq. Is the Middle East exceptional, in some way? Eva Bellin (2004) asks the question if the countries of the Middle East are in some way exceptional, in being resistant to democracy – by virtue of culture or economic development? No, she says and adds “The Middle East and North Africa are in no way unique in their poor endowment with the prerequisites of democracy. Other regions similarly deprived have nonetheless managed to make the transition. Civil society is notoriously weak in sub-Saharan Africa, yet twenty-three out of forty-two countries carried out some measure of democratic transition between 1988 and 1994. The commanding heights of the economy were entirely under state control in eastern Europe prior to the fall of the Berlin wall, yet the vast majority of countries in this region successfully carried through a transition during the 1990s.” She says that there isn’t one or even many preconditions for democracy, as it is a complex process. The question she asks is why there has not been even an attempt towards democratization. Given that she wrote this piece in 2004, that question has been answered now, with the Arab Spring and democratization of Tunisia and Libya, though the latter is struggling to keep it up. Drawing an insight from successful revolutions, she argues (based on Theda Skocpol’s thesis) that “Democratic transition can be carried out successfully only when the state’s coercive apparatus lacks the will or capacity to crush it. Where that coercive apparatus remains intact and opposed to political reform, democratic transition will not occur.”One can apply this reasoning to Egypt and Tunisia and see why the former failed as a successful revolution and the latter succeeded. In conclusion, it could be said that democracy needs not only an ecosystem in the form of civil society, an educated class of people who want change but also some preconditions – which are by themselves not necessary to guarantee it, but may facilitate its arrival. Finally, there is something to be said about the role of super-powers and the neighbors in a country. To what extent are their influences playing into the formation of alliances and networks of people is crucial to understand, as well. Also, it may be wise to remember Mernissi’s reminder that “the Gharib (West) is still Ajib (strange). The strange is always fascinating and as in the tales of the Arabian nights, one never knows that foot to stand on when faced with the unusual. Something that fascinates you, but you don’t understand, can eventually destroy you. Western democracy, although it seems to carry within it the seeds of life, is too linked in our history with the seeds of death. But the death of whom? Of the authoritarian technocrats or the powerless intellectuals? Of the officials who are the watchdogs or the people who raise the challenge?” (p.21). Mernissi’s is a positive and hopeful vision of the future of democracy in the Arab world. She ends her book using an allegory of the Simorgh from Farid Attar’s classic Poem The Conference of the Birds, a classic written in the 12th century, an equivalent of the modern day classic Jonathan Livingstone Seagull. “The Simorgh is us” she says, arguing that the realization of all the best ideals of a Western liberal democracy and Islamic state are better individuals and a better community. Once we realize this, then the end result would be perfect, she seems to be saying. This is a vision that cannot be wrong or faulted. And in the years and decades to come, one can hope that it is realized by all those who are concerned about the future of the Middle East and its people. Author Sabith KhanPosted on July 2, 2014 July 3, 2014 Categories Charity, Democracy, Democracy in the Middle East, Education, Egypt, Ethics, Fatima Mernissi, India, media, Middle East, Middle East peace, modernity, Morocco, Palestine, Public Administration, Sociology, United Nations, USA, War on terrorTags Sunni2 Comments on Can democracy take root in the Arab world? Is “God Bless America” problematic ? The two speeches quoted above were made with a gap of more than fifty years. Despite this, one can see the reference to God, America being a religious nation and the rhetorical use of faith in both these speeches. This rhetoric of religion goes back to the founding of the nation itself, one could argue. Why does an American President have to invoke God to appeal to his own people and the rest of the world? Despite constitutional separation of religion and state, why does this occur so often? What role does this “Civil Religion” play in America. I will examine these questions in this short article and look at the intersection of religious and political rhetoric in the American public sphere and explore whether this is problematic and why. Civil religion can be defined as “the appropriation of religion by politics for its own purposes[i].” Since Rousseau coined the term and used it in his The Social Contract, the concept has become useful in describing this phenomenon of politics coopting religion. Robert Bellah, in his essay Civic Religion argues that “every nation and every people come to some form or religious self-understanding whether the critics like it or not,” by this he means not the self-worship of nation, but conscious subordination of the nation to ethical principles. He uses the example of John F Kennedy’s inaugural speech (quote above taken from this speech) to demonstrate that civic religion seems to be alive and well, in the American political space. He says that the mention of God three times in the beginning para of his speech itself is not just symbolic or empty, but points to a value system that most Americans share and to that extent, it is an acceptable form of speech. Bellah asks: “Considering the separation of church and state, how is a president justified in using the word “God” at all?” The answer, he points out, is that the separation of church and state does not deny the political realm a religious dimension, meaning that there is no prohibition in using religious rhetoric, as long as it is not used to suppress others religious rights or freedoms. Further, Bellah clarifies: “Although matters of personal religious belief, worship, and association are considered to be strictly private affairs, there are, at the same time, certain common elements of religious orientation that the great majority of Americans share.” He further argues that civil religion in America is tied to the history of the founding of the country itself, and manifested very strongly in instances when the very meaning of the nation has been questioned. Subsequently, through the Civil War, Abraham Lincoln, in Bellah’s view represents the very best of the civil religious tradition- as his motives were drawn from the Declaration of Independence and the desire to hold the country together, and not from a particular religious dogma. This tradition seems to have continued till today, with a few aberrations in between. Bellah is also quick to remind us that it is not all rosy with civil religion. “It has often been used and is being used today as a cloak for petty interests and ugly passions. It is in need-as any living faith-of continual reformation, of being measured by universal standards. But it is not evident that it is incapable of growth and new insight,” he adds. As a country that has constitutionally separated religion and state, some critics point out, civil religion blurs these boundaries. Former President George W Bush came under attack in the media and from scholars for the use of religious rhetoric and in particular, use of the word ‘Crusades,’ to describe the Iraq War. Commenting on the Bush years, this NY Times article further contends that “ Too often, though, American politicians and moralists have reduced faith in Providence to a religious sanction for raw power. In the 1840’s, with the emergence of the idea that the United States had a manifest destiny to expand to the Pacific, the hand of God was no longer mysterious (as in traditional Christian doctrine) but ”manifest” in American expansion. As for the natives who unproductively occupied the Great Plains, Horace Greeley, the journalist, said in 1859: ”’These people must die out — there is no help for them. God has given this earth to those who will subdue and cultivate it, and it is vain to struggle against his righteous decree.” Both these historical examples point to the ugly use of religion to justify actions that could not stand the test of high moral principles that they promised to uphold. Moving to contemporary America, President Obama’s remarks at the National Prayer Breakfast on Feb 6 are indicative of the importance of civil religion in the U.S. Civil religion has arguably made a significant contribution towards the discourse of religious freedoms, as Obama’s speech demonstrates. Obama uses his rhetoric of civil religion to build on his argument for greater religious freedoms both in the U.S. and abroad. He mentions the recent uptick in violence in the Central African Republic, Persecution of Christians in the Middle East and Burma as egregious instances when the states are not doing enough to protect those who are vulnerable. As he says: “ I’ve felt the love that faith can instill in our lives during my visits to the Holy Land and Jerusalem — sacred to Jews and Christians and Muslims. I’ve felt it in houses of worship — whether paying my respects at the tomb of Archbishop Romero in San Salvador, or visiting a synagogue on the eve of Rosh Hashanah, the Blue Mosque in Istanbul or a Buddhist temple in Bangkok.” This device works, one can argue, to not only bring people together in a shared value system, but also to politically send out a message that all religious groups and faiths will be tolerated. So, in effect, civil religion in this instance can be seen as upholding the First Amendment provision of freedom of speech, which by implication means freedom of religious choice or to not believe. In a post 911 world, where religious intolerance in the U.S. is quite high, as the Southern Poverty Law Center has documented, this rhetoric may be necessary. Some of the benefits of civic religion are obvious: a) It gives us a value framework that is shared by all, irrespective of a particular faith tradition. b) It could also provide a safeguard for religious freedoms, and not letting the state trample on religious freedoms of people. President Obama’s speech at the National Prayer Breakfast 2014 is a classic case. 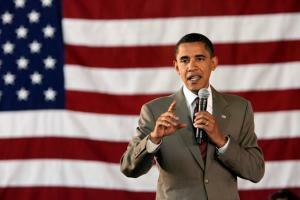 His entire speech can be seen as a call for religious freedoms both in the U.S. and around the world. While in a global context, this rhetoric may be seen as being hegemonic, it is not in contradiction with globally agreed norms such as the Universal Declaration of Human Rights, which guarantees freedom of religion. The only glitch, it seems is that this ‘values system’ leaves out the non-believers and those who are strongly opposed to any mention of religion in the public sphere. This is truly a sticky wicket. Finally, it helps to remind ourselves what Bellah has said about civic religion and its place in American society. He advises that rather than being cynical and denouncing civic religion, which is in any case inevitable, given the highly religious nature of American society, it is better to seek within the civic religious space, those principles that may prevent national self-idolization. Bellah’s point that civil religion is becoming more activist, rather than theological is another interesting and perceptive insight. Looking back at recent history, we can see this in the case of civil rights movement, labor reforms debates, immigration reforms debate and several other initiatives, where religious leaders from various faith traditions have come together to create a discourse based on rights, often acting politically and similarly, politicians using religious rhetoric of ‘god given rights’ to argue for equality and ‘dignity for all.’ In this regard, civil religion can actually be helpful both as a social and political tool. There is no need to fear this public expression of a benign religious value system. What we need to fear is extremism- from both sides : the religious and the atheists. Author Sabith KhanPosted on February 7, 2014 Categories Charity, Christianity, Education, judaism, modernity, Palestine, Public Policy, Religion, United Nations, USA, War on terrorTags America, American exceptionalism, Civic Religion, god, Inauguration Address, John F Kennedy, Robert BellahLeave a comment on Is “God Bless America” problematic ? Rihla, or traveling to seek knowledge is an Islamic tradition, whose roots extend as far as the Prophet Muhammad himself, who prioritized learning and knowledge. His famous Hadith “Learning is from the cradle to grave” has inspired billions of people to travel, seek knowledge, over the last 1400 years of Islamic history. This tradition of learning and traveling for knowledge is epitomized by two scholars and student travelers, whose lives I will discuss here, in brief: Ibn Battuta and Malcolm X. In this article, I seek to answer the question: Are we losing this tradition of student-travelers, in an age when travel is so easy and relatively cheap. What lessons can we learn from the personal histories of student-travelers such as Ibn Battuta and Malcolm X? I heard a lecture about Ibn Battuta’s travels (starting in 1325 C.E), a few weeks ago at the Upenn Museum and the blog post about that lecture is here. The gist that is relevant to us here is that travel in the era of Islamic Empire was easy. No passports, no visas or even travel documents. There were hostels for travels along the path where weary travelers could stop by to rest. This however came at an enormous cost: travel was harsh, dangerous and very slow. Ibn Battuta traveled for months on the road and his sea voyages lasted a longer time. 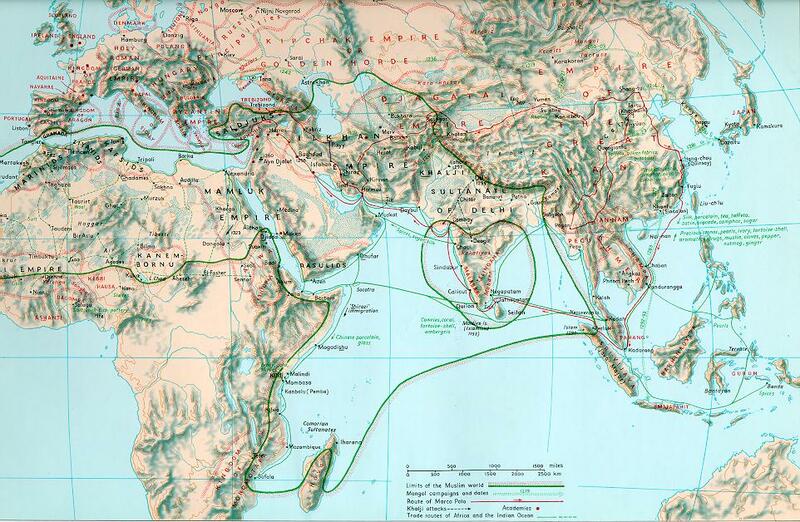 From the time of the Islamic conquests from 7th century uptil about 15th or even 17th century; one could travel anywhere between Africa to China and beyond with relative ease, provided one had the means and the right connections, with the Islamic Empire providing one vast area of interconnected routes through which traders, travelers, pilgrims and scholars could pass through. And knowledge networks were formed this way, point out many scholars, who have studied this phenomenon of how travel influenced the flow of knowledge. His travels were dangerous, adventurous and at times fun. Ibn Battuta’s knowledge and scholarly standing helped him enormously, as it helped him earn a living as he traveled – he was a qazi or a judge, trained in Islamic jurisprudence, a valuable skill to have in those days. As the Oxford Islamic Learning portal points out: “Religious travel in Islam reflects an extraordinary degree of intercontinental cooperation among constantly intersecting groups that perform overlapping functions. The general pattern resembles a web of interlacing and autonomous networks instead of a rigid hierarchy, spontaneous collaboration rather than central direction, and fluid process over fixed structure. This vast web encompasses Muslims in every part of the world, helping to create a universal Islamic identity that transcends nationality, race, gender, and class. The Hajj has always been the most powerful expression of Islamic unity and egalitarianism, and today its unprecedented size and diversity make it more important than ever.” In contemporary times, with the growth of technology, while the tradition of traveling on such a scale to learn may have been reduced, or rather the purposes of travel changed; pilgrimage to perform the Hajj does remain significant. He was reacting to the profoundly warm welcome he received as a state guest in Saudi Arabia and many other countries that he visited during this trip. This sojourn was not only professionally rewarding, in that he met many heads of state and formed very strong networks that would serve him for the next few years of his life; but also personally transformative – in that he realized that his racism towards whites was misplaced. This trip, more than anything else, changed his mind from being a racist to one who realized that he was in the wrong and that white man indeed, can be benevolent and kind towards others. Not all white men were devils, as he had previously imagined. This theme of traveling and spiritual transformation is also explored by Zareena Grewal. In her book Islam is a Foreign Country (2014), Grewal, professor at Yale University contextualizes the contemporary travels of American Muslim youth, who travel around the world, to seek ‘authentic’ Islamic knowledge. Malcolm X, Shaykh Hamza Yusuf are examples of this phenomenon. Both are considered iconic ‘student-travelers’ who went to the Arab world and Africa in search of spiritual and religious insights and learning, she points out. Grewal further traces how the moral geography for Americans has moved over the decades – it was different for the Black African Muslims, than it was for those in the 1960s’ onwards, when the Arab and South Asian countries became part of the dominant diasporic imagination. They were seen as racial utopias and the core of Ummah’s moral and political core. 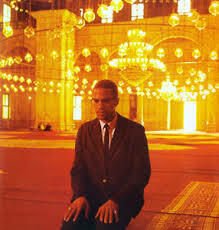 This, she adds has significantly shifted since the 1990s’, with the examples of spiritual leaders such as Shaykh Hamza Yusuf, who, like Malcolm X is an iconic Muslim student-traveler. This rihla, or traveling to seek knowledge is also a result of specific set of historical ruptures. She argues rightfully that the shift in religious leadership that occurred in the U.S. from the 1960s onwards- from the indigenous African Americans towards a more educated, elite South Asian and Arab professional class of people is part of this shifting moral geography. In contemporary American society, these travels are also inspired by those who are aware of the lack of religiously trained scholars, since most of the mosque leadership is taken up by those who have a ‘secular’ education and are professionally successfully, either as doctors or engineers. In her analysis, Grewal points out that of the hundreds of students who have left the U.S. to study in the Middle East and returned, most are disappointed with the results they produce after they return. The communities expect them to play roles as Imams at mosques at best and also to be ‘role models’ for youth here. While this is an expectation that is normal, she points out that the public discourse of crisis in the U.S. does not allow them to play a constructive role in society, often relegating them to passive positions. They become ‘carriers rather than mediators of the tradition.’ As she points out. The biggest lesson one can draw from both these travelers’ lives is that travel is transformative by nature. Leaving one’s home, the comfort of the familiar and the known can expose us to dangers, unknown people and situations. Overcoming them can help one gain new knowledge, sharpen one’s instincts and also transform one’s thinking – if one approaches it with an open mind. As countries are clamping down their borders and restrictions on travel are beginning to become much more than they ever were, one could be forgiven for asking whether we are regressing as a people. While the means to travel, technology and access has definitely increased, we have erected other boundaries in the name of national security, borders and imagined threats that stop us from traveling and exploring the world that is yet to be discovered. Perhaps this tradition will help us realize the rich promises that travel for learning holds. 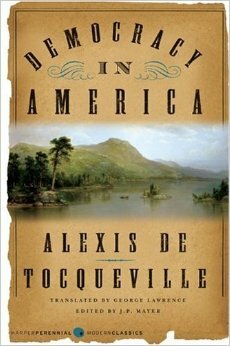 Alexis De Tocqueville’s Democracy in America – Perhaps the most cited (and sometimes cited simply because they have to) this book is a classic. Written by a French Aristocrat, who spent a few years in the U.S. documenting the norms of civil society, Democracy in America is a must read for anyone wanting to understand how ‘civil association’ came to be so dominant in the U.S., its moral philosophy and political dimensions. Tocqueville does a great job of illustrating the development of legal systems, relationship of federal government with the states, among other things. But the genius of the book lies in finding how civil society came about in the U.S. and how it is unique in so many respects. If you don’t have this book, buy it. Today. Bishop, M., and Green, M. Philanthrocapitalism: How the Rich can save the World – With the discourse of ‘business can save the world’ gaining traction by the day, it is important to be aware of this trend and analysis. While I completely do not agree with the arguments presented here, it is a book worth your time. With Bill Gates and Warren Buffet pledging almost half of their fortunes to philanthropy, will the sector be in a position to transform the lives of millions of poor? Will other HNW individuals follow suit? What are the prospects of this move for philanthropy generally? These are some of the questions Greene and Bishop have dealt with, in this book. Robert Wuthnow. Saving America? 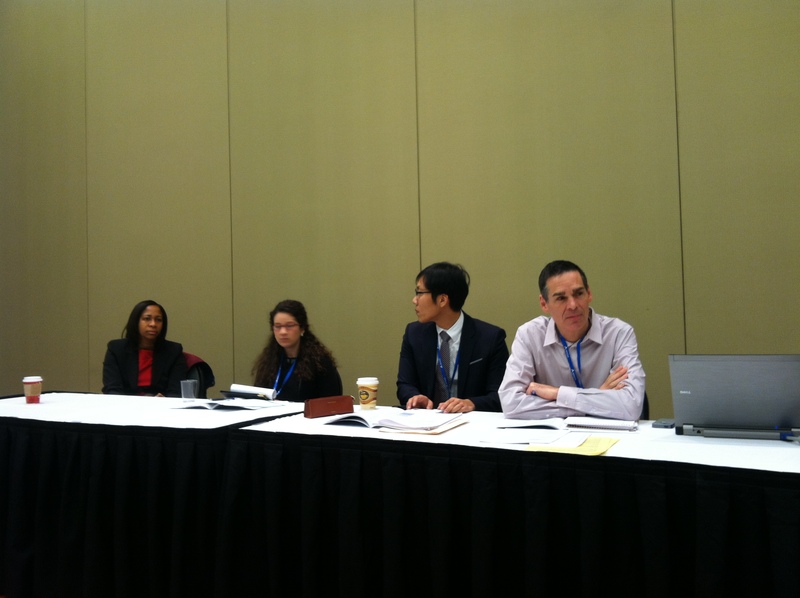 Faith based services and the future of Civil Society – I am biased towards Wuthnow. He is my favorite Sociologist of Religion and also the most perceptive one. So, his book makes it among the most important ones to read. Infact, any book written by him is an eye opener (and there are quite a few to read). At last count, he had authored over 38 books (I counted that many, not sure if I missed a few). Nevertheless, Saving America offers an in-depth analysis of faith-based services and if they should be supported with tax dollars. Both incisive and perceptive, Wuthnow writes with compassion and a sense of duty towards those who are at the receiving end of the social services. 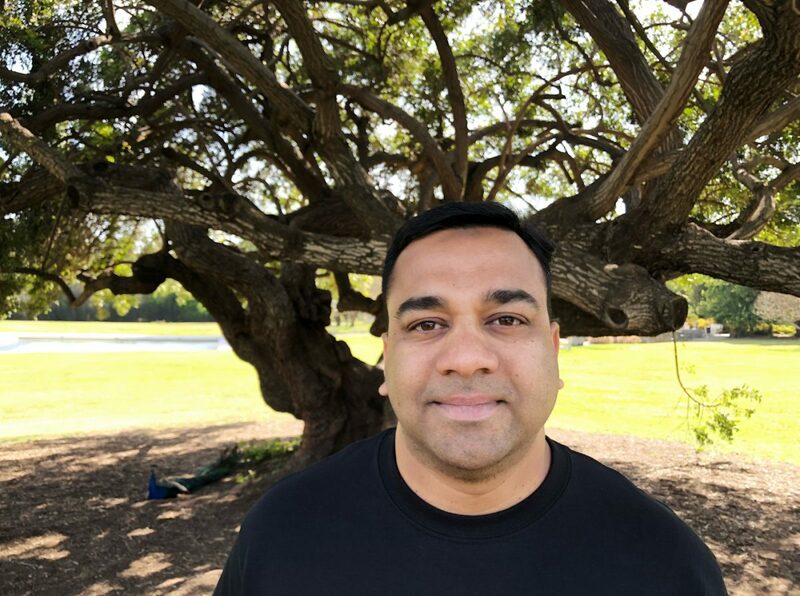 He is a kind soul who is sympathetic with the benefits that these organizations provide to the recipients, but is also scholarly in his approach. 4. Below this, the poor person knows from whom he takes, and the giver does not know. Kass, Amy. ed., The Perfect Gift: The Philanthropic Imagination in Poetry and Prose – Another interesting book by Amy Kass. This brings together some interesting perspectives on philanthropy from various authors, poets and thinkers. Peter Frumkin’s Strategic Giving – While many people are trying to leave a mark with their philanthropy, they don’t have a blue print of how to do this. Frumkin, who is at Upenn provides a concise, clear roadmap for those who want to do this. A very well written book, one that is indispensable for those who want to go beyond just writing checks. William Jackson. The Wisdom of Generosity: A Reader in American Philanthropy – This is a quintessentially American philanthropy book. Using folklores, stories, parables drawn from America’s rich past, Jackson offers us an idea of what philanthropy looks and feels like in the U.S. A rich book, that will make you appreciate the richness of American traditions of giving. I realized that between me and the author, there is a small coincidence: that the author spent his youth in Bangalore, working with NGOs’ (my hometown) and I was sitting in Indianapolis at the Philanthropy Library, IUPUI, many years later and reading his book on philanthropy. Small world, indeed. Warren Ilchman and Stanley Katz, Philanthropy in the World’s Traditions – This book looks for expressions of philanthropy across various traditions and religions around the world. This again, brings together various writers from varying backgrounds to offer us a rich compendium of ideas and perceptions. Elayne Clift. Ed. Women, Philanthropy, and Social Change: Visions for a Just Society – As the role of women is being increasingly recognized in our world, works of scholarship are also being produced. This is an interesting book that chronicles the struggles of women who are philanthropists, in everyday life. Singer, Amy. Charity in Islamic Societies – This is perhaps the ONLY book length treatment of charity in Islamic societies. And perhaps the book that spurred me to decide on my dissertation topic. And yes, she writes well. I have a deep respect for historians who do their job well and she does a remarkable job of grounding the norms, aesthetic dimensions and values of zakat, sadaqa and Waqf in Ottoman Empire and brings back the narrative to current day. A great book that should be in your possession. A review of the book is here. David Wagner. What’s Love got to do with it? A Critical Look at American Charity. – This one is for the critical theorists out there. Wagner is not entirely convinced that charity, as we practice it, makes an enormous difference in society. He offers a well argued, indepth analysis for why things are as they are. A good read. Olivier Zunz. 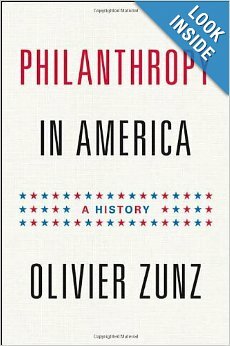 Philanthropy in America: A History. – This book is a historic look at the emergence of philanthropy and makes a case for its use in public good. Zunz is a historian and brings his skills to fore here. Starting with philanthropists such as Andrew Carnegie, Rockefeller and others, the book traces the history of philanthropy in the U.S., offering a great narrative of how public good has come to be associated with giving. A good read and I enjoyed this book. Alright, if that hasn’t satisfied your curiosity, here are a few more (keeping in tune with what one of my favorite professors does – All his syllabus has three reading lists. Required, Recommended and Supplementary). Helmut Anheier and David Hammack, eds, American Foundations; Roles and Contributions. If you enjoyed this list, share it with others and if you find a book that you think I should read, please write to me! Happy holidays! 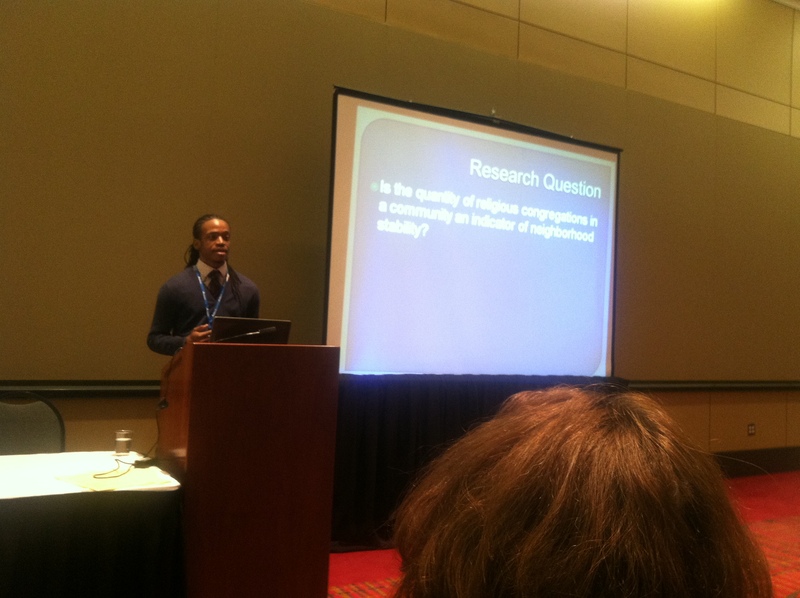 I left Hartford, CT on Saturday after three grueling days of intense thinking and engagement at the 42nd Annual Association for Research on Non-profit and Voluntary Action (ARNOVA), the Mecca for nonprofit theorists and practitioners. For over four decades the organization has been the meeting ground for anyone interested and engaged in this sphere. The three days of discussions, debates over coffee, lunch and dinners and intense panel discussions brought forth one key fact for me – data has finally trumped values as the epistemic framework for nonprofit management. And I am not convinced this is an entirely positive thing. Let me explain. Of the various sessions I participated in, and also chaired- I ended up chairing two sessions, one on Understanding and Measuring Capacity in the Nonprofit Sector and the other being The Relationship between Performance Management and Nonprofit Outcomes. One of the discussants in the first panel, Celopatra Grizzle, from Rugters University pointed out that donors don’t care about efficiency of the projects/ organizations that they donate to, but rather its legitimacy. This goes against the utility maximization theory that is used by Economists and those in the profession, who are interested in measuring the effectiveness of philanthropy. Chongmyoung Lee discussed his project of measuring outcomes in nonprofits and the perennial challenge of doing the same. Lilly School of Philanthropy, an institution that is at the forefront of research in the field of Philanthropy was extremely well represented. Almost its entire research team was here and having worked with them this summer, I was personally excited to see that they turned out in great numbers. 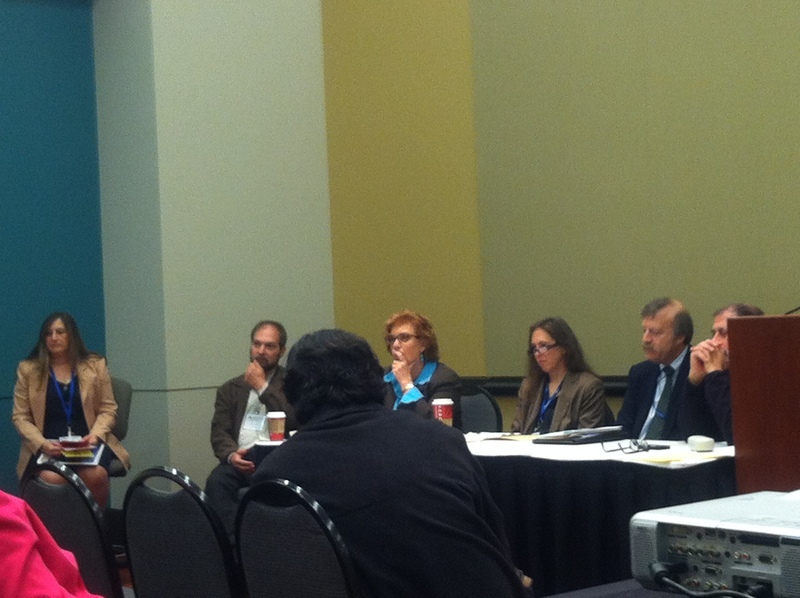 Dr.Amy Thayer presented her research on philanthropy and meaning making practices in education among K-12 students. One of the findings of this pilot study is that participation in philanthropic education programs enhances emotional maturity and also participation in these programs is linked to grants being available. This is not surprising, given similar results from a longer program, that has been ongoing at Center for Arab American Philanthropy, part of ACCESS, in Dearbon, MI; targeting a similar demographic among Arab American Youth, through the Teen Grant Making Initiative ( TGI). 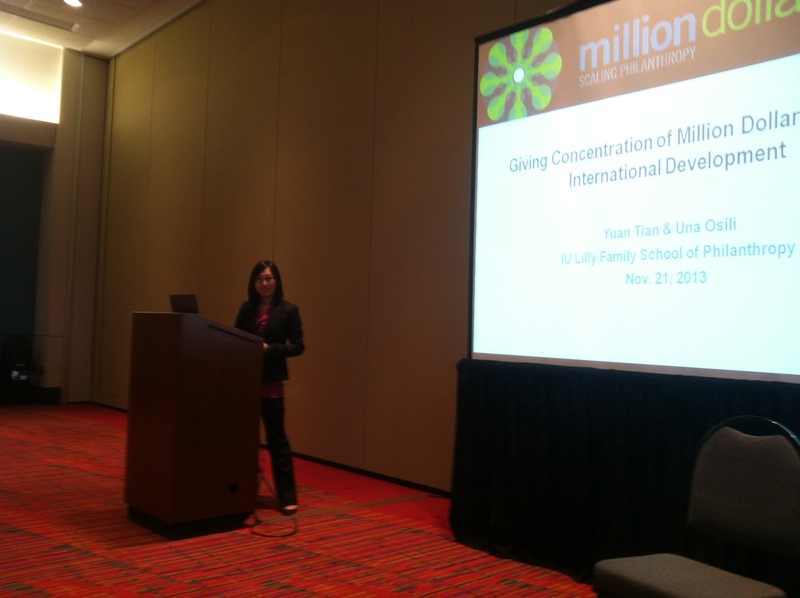 Yuan Tian, a doctoral student at the Lilly School of Philanthropy presented her research on International Giving in the High Net Worth givers category. This has been compiled and is documented on an on-going basis through the Million Dollar List, a public list of gifts over a Million dollars made by individuals, in the U.S. She pointed out several interesting findings from the list, showcasing trends in giving and also some unique insights including that the highest donations to the international sector went to Healthcare, Education and Arts. These insights are helpful for both planners and those working in the international affairs sector. Among the sessions dealing with values, religion and faith – I managed to attend two. One was a meeting of the Values in Philanthropy group, that sought to understand and research the “dark” and the “light” side of Philanthropy, including the activities that are not often brought up , i.e, funding of illegal or anti-social activities through the institution of philanthropy. It could be either the Church support of the Irish Republican Army or support by certain faith based groups in helping Al-Qaeda. The group has decided to further this approach and is seeking inputs on these issues, as they plan the agenda for the upcoming year. 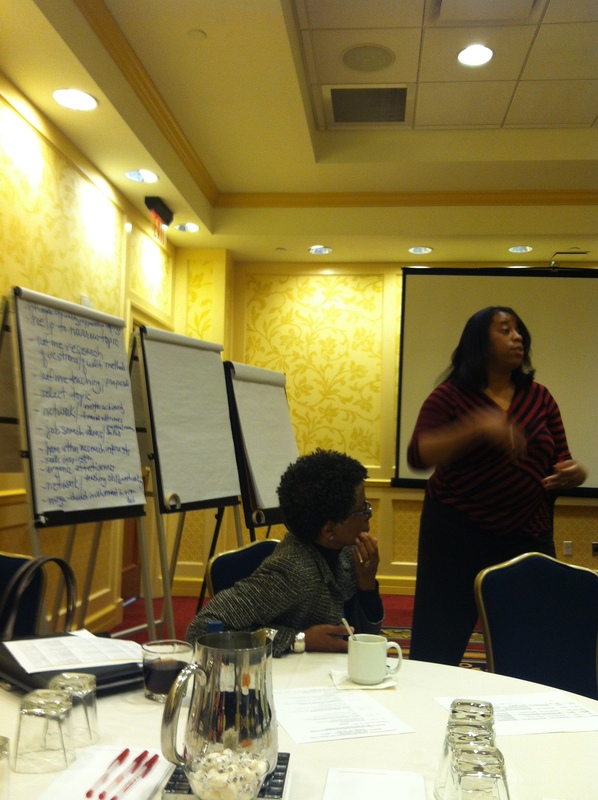 I was part of this lively discussion and contributed a few insights. Finally, I managed to hear Shariq Siddiqui, the Executive Director of ARNOVA and Dr. Mounah Abdel Samad of San Diego State University, who spoke about Civil Society Legislative Advocacy in Morocco, based on his survey of legislators in the country and how much they trusted civil society organizations. 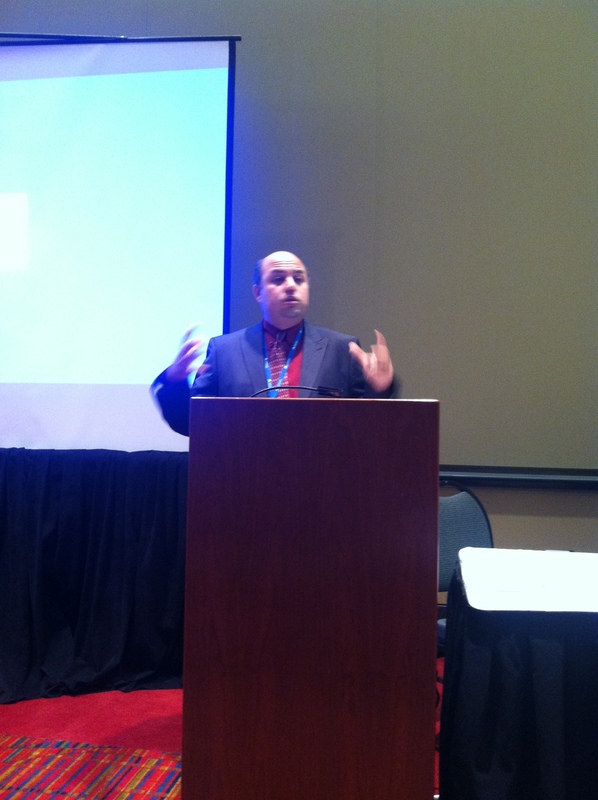 Siddiqui spoke about his research on the American Muslim giving experience and this was captured through the example of Islamic Society of North America, the national representative body of American Muslims. 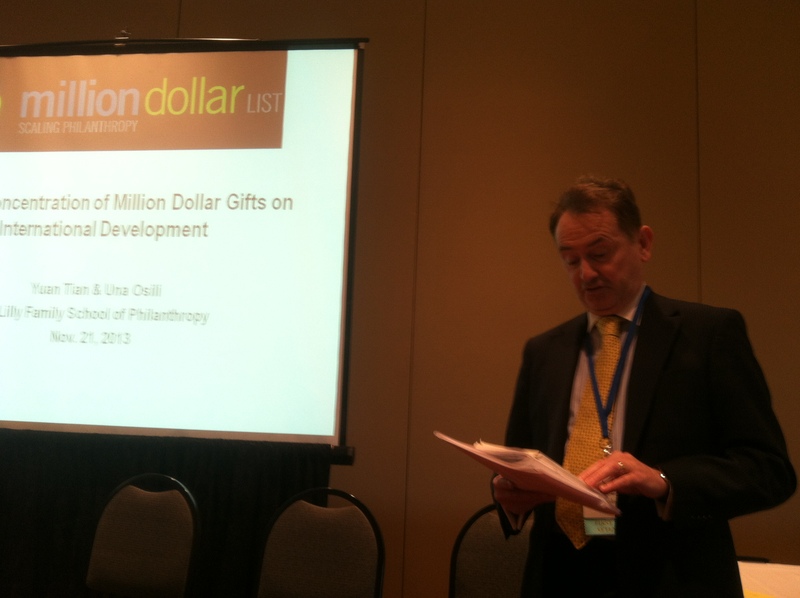 Overall, this was a vibrant atmosphere, and the conference itself addressed philanthropy, voluntary action from various perspectives – both quantitative and qualitative. There were researchers focusing on all sorts of issues – domestic, international, big and small. But one could not miss the heavy focus on quantitative methods and the frameworks leaning towards this mode of enquiry. Amidst the hundreds of presentations, a handful were purely qualitative studies and perhaps this is an indication that researchers are not asking the often harder questions of ‘why’ certain things are the way they are, and are focusing more ‘what’ and ‘how’, that are more easily answered through regression models and quantitative analysis. As the civil war in Syria rages on, with close to 90,000 people having died so far, and United Nations Special Envoy Lakhdhar Brahimi having admitted failure of his mission, the notion of a UN or international “intervention,” seems to be all but dead. While there is a glimmer of hope in the situation, with the government willing to negotiate, the opposition is adamant that it will not have anything to do President Bashar Assad. This book gets to the heart of such “interventions,” as Kofi Annan would have handled them. 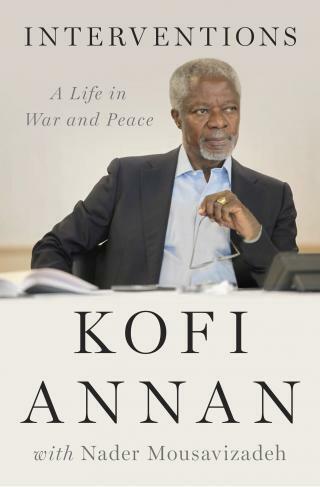 As a former Secretary-General of the world body and one of the well-respected international diplomats, Kofi Annan shares his deepest insights, fears as well as moments of truth in this riveting book, which is sure to keep you engrossed. Annan tells the story of his career, which started off with him working for the Economic Commission for Africa in 1965, following three years with the WHO. This was followed by a Master’s degree at Massachusetts Institute of Technology in 1971 and work for the UN in Geneva. He points out to his motivation for joining the UN and subsequent shift in his thinking from that of primarily serving Ghana, his home country to being a civil-servant to the rest of the world. He says:” Between the forces of bureaucratic inertia, bad governance and military rule, I saw little possibility of advancing the kind of change that was so necessary to Ghana’s- and Africa’s- progress. Today, forty years later, as a new generation is rebelling against this conspiracy of corrupt rule across the continent, I recognize that frustration and the power of such ideals in our own feelings from a generation ago.” This comment is telling and reveals a part of him which possibly pushed him into public service, to begin with. The book moves back and forth easily between the various crises that have defined his career: Somalia, Rwanda, Bosnia, Iraq, Afghanistan, Iraq and of course 9/11. The tone is conversational and the prose flows well. His account also gives insider information on such key aspects as the development of Peacekeeping as an idea and how the UN came to embrace this notion. The 1990s’ brought a new optimism, an idealist view of how the international community would stand behind the oppressed and the weak. Speaking of this growth, he says :” Between 1987 and 1992, most operations had involved one hundred observers or fewer missions involving littler risk to peacekeepers. By early 1994, there would be a total of eighty thousand peacekeeping forces deployed in 17 operations worldwide.” This was by no means a triumphalism of the west- as the missions in Rwanda, Somalia quickly deteriorated and the UN couldn’t do much to prevent the genocide, violence in these regions. Annan acknowledges that Rwanda and Bosnia were the two biggest failures until that time and to rectify that he commissioned two reports to investigate why the UN failed in its duties. What followed was the Brahimi Report in 2000, which sought to correct several of the impediments that stood in the way of the UN doing its job effectively. The chapter on Kosovo, East Timor and Darfur is particularly striking in its focus on how mass violence was committed by the respective states against their own people and how at times, the world just stood by and watched these atrocities. Kosovo was the litmus test for UN’s credibility. The call for action to stop violence against ethnic Albanians, the Security Council resolution 1199, which demanded the withdrawal of Yugoslav forces from Kosovo and the subsequent NATO airstrikes, which ultimately had a decisive impact on how this situation ended. The East Timor’s case is particularly striking also because of the manner in which Annan was directly involved and this, one can argue, saved thousands of lives and also lead to the country eventually being recognized as a sovereign nation, following a popular referendum in 1999, which was mediated by the UN. Darfur in Sudan presented another set of challenges and it seems that this tested his skills of negotiation, deal-making and diplomacy. The crisis in 2004, which was precipitated by the Sudanese government’s support of Janjaweed militia against the South had reached a tipping point. The crisis, which claimed over half a million lives has lead to an international campaign against Sudanese president Omar Bashar and also the formation of a new country, South Sudan. By no means was his work easy or without risks. Annan mentions the many personal clashes with world-leaders, over how a problem should be approached, issues of parochial national interests coming in the way of reaching a just solution to a conflict and at times, pure ego being the deal-breaker. The struggle about defining the situation in Darfur as a genocide or not, involving the British, Americans and the UN itself is quite striking. This had enormous implications in how this situation was resolved and dealt with in the form of a UN mission sent in 2007. As the world becomes increasingly connected, both through movement of people as well as ideas, the challenges of governance increase. The role of the Secretary General itself is quite unique and Annan offers a sneak-peak into the running of an organization of $ 10 billion annual budget, and one invested with the hopes, aspirations of the entire world. The work requires tremendous tenacity, tact, energy as well as coordination skills. The 2001 Nobel Peace Prize to Annan and the UN was a confidence booster and legitimated his approach to running the organization. While the post-WWII framework still operates in the form of permanent five of the Security Council, his 2003 call for reform aimed to expand the membership of permanent members; though this has not taken any concrete shape yet. His frustration of dealing with leaders in the Israeli-Palestinian conflict is apparent, when he points out that both Arafat and Ariel Sharon were problematic people to deal with. This seems to be the classic position of being stuck between a rock and a hard place, and shows partly why the UN has not been very effective in playing a key role in this conflict, so far. The UN has been denied a proper role in the conflict and Annan admits it as being limiting and not very effective. Despite the violence, chaos and destruction that has characterized the Arab Spring, Annan remains optimistic and believes that the demands for better governance that are being made are legitimate and reflect the aspirations of the younger generation. While the book captures the career and life of Kofi Annan through the lens of a few events, it could have been organized better. Though it moves back and forth and captures the tension between the key people, at key moments in history; I believe the story could have been told in a more detailed manner. Despite its short-comings and skimming over certain key global events, the book is a fascinating read and a must-read for any student of International development or International Affairs. Either by chance or de sign, I am watching films related to the Palestinian situation these days. And increasingly, these are being produced by Israelis or joint collaboration between Israelis and Palestinians. The most recent was The Gatekeepers, which I watched just a few hours ago. It is a powerful documentary that captures the voices of six former Shin Bet chiefs, who seem to unanimously agree in that the existing policies of the state of Israel are wrong and the state may be winning a battle, but losing its war on “terror.” Just a few weeks ago, I watched Five Broken Cameras, which is a powerful narrative of the recent trend in nonviolent protests in Palestine and how the state of Israel is reacting to it. The Gatekeepers is told from an Isreali perspective, but offers a perspective that is not to be dismissed easily. 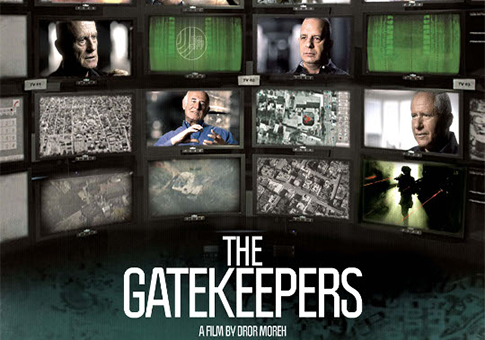 Superbly shot and very well edited, The Gatekeepers is a sneak peek into the minds of men who have arrested thousands, assassinated hundreds and controlled millions of Palestinians in their careers. This is a one of a kind documentary that goes beyond the façade of the tough men working in intelligence units to show the human side of their work. “Politicians like to make binary decisions, with just 0 or 1, they don’t like multiple scenarios. Our work is to make decisions in complex situations, where there are more than two options, sometimes three or four,” points out one of the chiefs. The moral ambiguity that faces them when making decisions involving life and death are not easy, even to these hardened men. “Victory is seeing you suffer,” points out a Palestinian psychiatrist to the Israeli chief of Shin Bet and this seems to be what is occurring in Israel today. While the spate of suicide bombings may have reduced from what it was during the Intifada, the fact that the average Israeli is in a constant state of anxiety, due to the actions of the state, that seeks to keep the occupation going is hard to miss. The film is a powerful statement to the power of surveillance, and authority that the Israeli state has over Palestinians. Avraham Shalom points out how census was taken as a practice in the post 1967 era, to keep a tab on all the Palestinian population in the occupied territories. While there is no doubt that often, this leads to power being abused, the realities of keeping the status quo i.e., the occupation intact trumps all moral ambiguities that the chief of Shin Bet may feel. “We are just doing our job and perhaps after we retire, we become leftists,” says Gilon. The film is a sobering reminder that there cannot be peace unless the strong side, in this case Israel makes a real effort towards it. While the film does flow chronologically with the 1967 war, the Oslo peace agreement and the Intifadas that followed, it is not meant to be a history lesson. The narrative is firmly rooted in the decisions that these men make and the consequences that it has for the state of Israel and also the Palestinian civilians. While it is a sobering reminder to all that there cannot be peace in the region unless extremists on both sides stop the cycle of ‘intractable violence,’ it is also a stronger indictment of the regime that does the controlling and monitoring and securitization to look at the wisdom in all its actions and look at a strategy rather than just operating tactically, as we are reminded throughout. The tension between who is a terrorist and who is a freedom fighter is also clearly brought out, as the chiefs admit that there are no black and white scenarios here, and “one man’s terrorist is another man’s freedom fighter.” The fact that the Israelis are treating the Palestinians similar to the way Germans treated the occupied lands is also admitted by one of the chiefs. Here is an interesting interview with Dror Moreh, the director of the film who says: “The more we are advanced in technology, the more impersonal it becomes.” An apt reminder for us, in the age of drone lead warfare. The parallels between this and the war in Afghanistan are not to be missed, especially when it comes to targeted assassinations. Ami Ayalon points out that the assisination of Yayha Ayyash was a big event, and that underscores some of the issues that come up in targeted killings. While still debated on all fronts, simply because it goes against international norms, the fact that these are occurring as we speak, makes this issue current and controversial. Dichter’s words may be apt to sum up the powerful narrative of the film when he says “ You cannot make peace by military means.” That may well be the wisdom that the Israeli politicians need to imbibe.